By Appointment Only | Welcome to a home of epic proportions and enormous versatility on approximately 1.45 acres in the highly sought after Kinfauns Estate. Amongst the gently rolling hills of this private community, you can relax and enjoy all the peace and serenity of country life, whilst being only a short drive to shops, transport and leading schools. ~ A retreat all on its own, the master suite consists of a walk-in-robe, split system heating & cooling, ceiling fan and ensuite with a corner spa bath. ~ Additional four bedrooms with built-in-robes, plus home office or sixth bedroom. 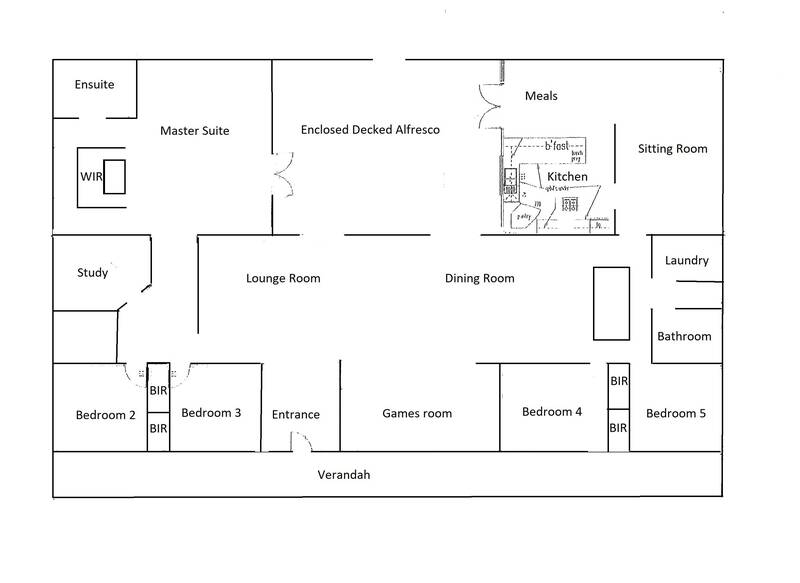 ~ Open plan lounge, dining and games room offers a huge, versatile space for growing families. ~ The kitchen comes equipped to meet all the needs of the home chef, with a Bosch dishwasher, DeLonghi oven, ample storage and adjoining meals area. ~ Climate controlled by ducted heating and evaporative cooling throughout. ~ Showcasing excellent indoor/outdoor liveability, each of the living spaces has a set of French doors that open up to an enclosed alfresco with powered alfresco roof blinds, built-in bar and stainless steel rangehood. ~ Presenting as an entertainer’s wonderland is a beautifully designed and landscaped backyard, where a solar heated pool, gazebo and child-friendly lawns all come together. ~ Electric, lockable front gates lead to a 4-bay garage with power. ~ Garden lovers will appreciate the array of fruit trees, shade house and rose garden with watering system. ~ Other superb features of this property include 12 solar panels, garden shed, rabbit proof fencing and four water tanks with a combined capacity of 50,000+ litres.